Traveling to Sandy or the Mt. Hood area? All of the public transit resources in Sandy are bike-friendly! 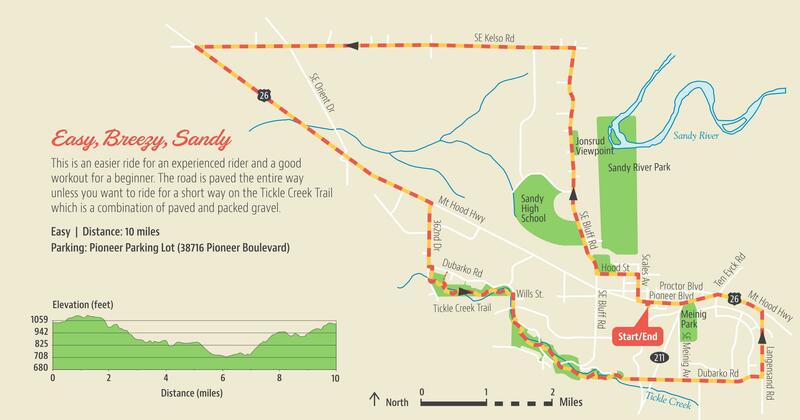 Whether you're mountain biking at Sandy Ridge or taking a relaxing country ride, please use this page as your public transportation resource. You can access Sandy's transit system from Portland by riding the Blue Line MAX train eastbound to Gresham. Exit at the Gresham Transit Center. Sandy Area Metro (SAM) , shares a stop with TriMet buses 80, 81 and 84 at the Gresham Transit Center on NE 8th Street. 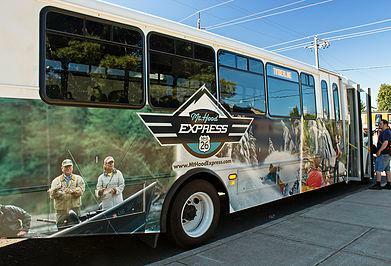 SAM buses are easily identifiable by the beautiful, scenic picture of Mount Hood. All SAM buses have bike racks on the front and will take your bike as long as there is room. SAM is the connection from Gresham to Sandy, Estacada and the Mt. Hood area. Immediate transfer from SAM-Gresham to SAM-Estacada is free. Please notify the driver of the transfer and they will provide a token. Please see below for fares and schedule links. 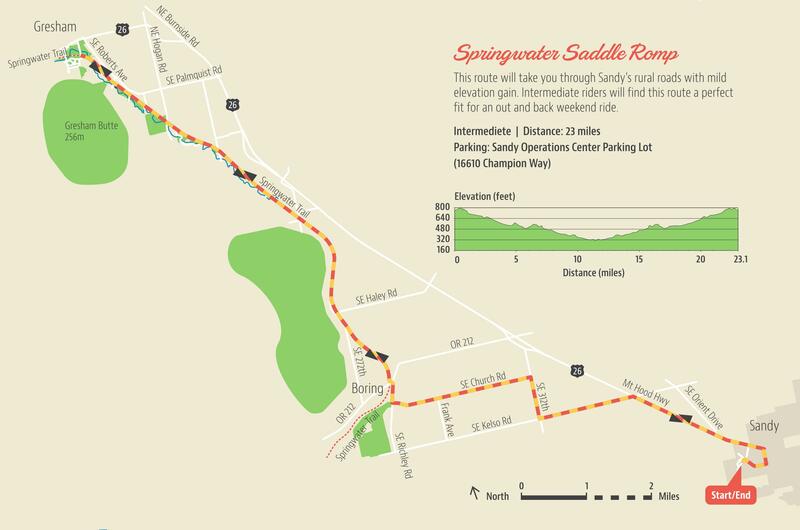 See Sandy 's Bike Page for more information on trails, bike repair locations and shops. 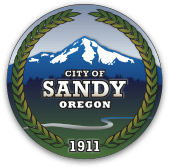 In addition to several trails Sandy has points of interest such as Jonsrud Viewpoint and the Sandy River. Stop by one of the many restaurants, take a break in the movie theater or enjoy some of the local shops! 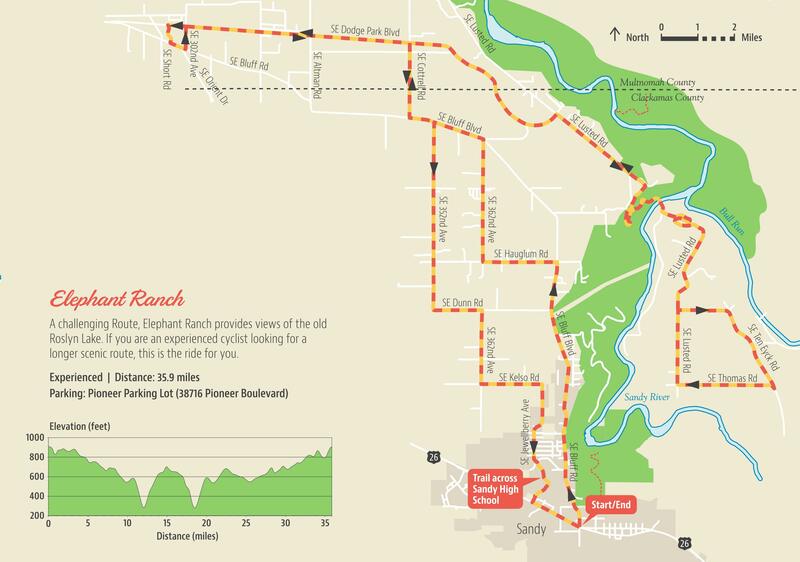 Cascading Rivers Scenic Bikeway - Official OSP map and cue sheets. 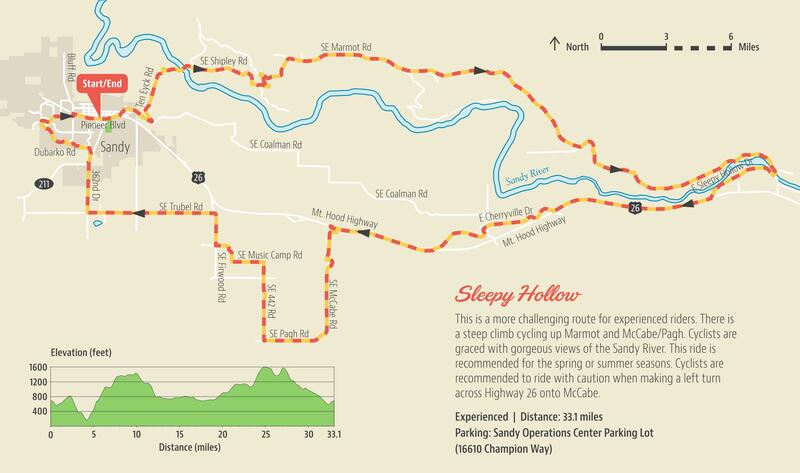 You can access all of the cycling destinations on the mountain from downtown Sandy by way of the Mount Hood Express (MHX) . 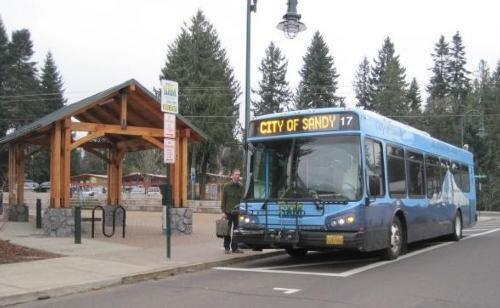 Cyclists can catch the MHX at Sandy's Transit Center, the Centennial Plaza (located at Hoffman Avenue between Pioneer Blvd and Proctor Blvd in downtown Sandy), to get to the world famous flow trail complex at Sandy Ridge, the beginner and intermediate trails around Government Camp or the Adventure Park at Mount Hood Skibowl. Take MHX to Timberline Lodge and ride the Timberline Trail to Town, Crosstown and Pioneer Bridle Trails down to Rhododendron, and then catch the shuttle for another loop. It is mostly downhill and can be done by beginner, intermediate or experienced riders. 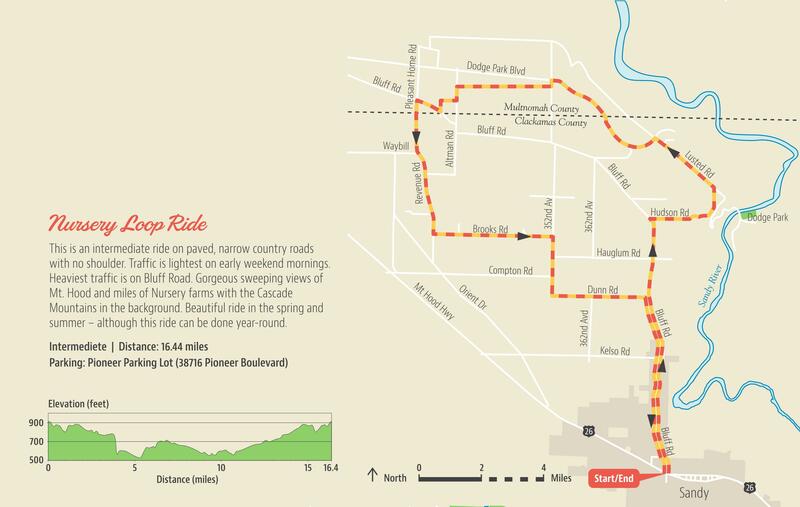 Riders can also get off at some of the villages to access local restaurants, retail stores and points of interest. All MHX buses are equipped with bike racks from April 1 through November 30 (during ski season, MHX are equipped with ski boxes instead). Beginning June 1st, MHX buses will be equipped with an extra bike trailer that can take up to a dozen bikes. Please see below for fare and scheduling information. Links to transit schedules : Please click on the links below for schedule information for all area public transit systems. All transit systems listed here offer service 7 days a week.